The birthday of the monarch was a day for celebration in Canada long before Confederation, with the first legislation regarding the event being in 1845 passed by the parliament of the Province of Canada to officially recognize May 24 as the Queen’s birthday. It was noted that on that date in 1854, the 35th birthday of Queen Victoria, some 5,000 residents of Canada West gathered in front of Government House (near present day King and Simcoe Streets in Toronto) to “give cheers to their queen.” On May 24, 1866, the town of Omemee, also in Canada West, mounted a day-long fête to mark the occasion, including a gun salute at midnight, pre-dawn serenades, picnics, athletic competitions, a display of illuminations, and a torch-light procession. That was quite the party, eh? 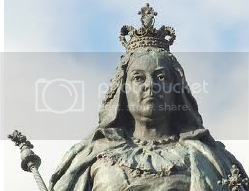 Following the death of Queen Victoria in 1901, May 24 was by imperial decree made Empire Day throughout the British Empire, while, in Canada, it became officially known as Victoria Day, a date to remember the late queen, who was deemed the “Mother of Confederation”. Come celebrate the birthday of the woman after whom the long weekend AND our park are named: Queen Victoria! Starting off in front of the park’s Victoria monument, the Victoria Park Historical Committee presents a trio of speakers commemorating her life. Gather at the monument for the half hour presentation, then head across the bridge to the Roos Island bandstand, where the Kitchener Memorial Musical Society Band will entertain a noon hour concert. All events are free. Lawn chair.